Whether you are restoring house windows or updating them completely, Modernize is here to help you find replacement windows in San Diego, CA. Our reliable contractors can help you fix any problems you're having with your home's windows. You can enjoy a more energy efficient home by upgrading, repairing, or restoring your windows today! We take pride in what we do and we want to help ease the process of getting new windows installed. Search our list of trusted contractors in your area today! Get free quotes from the best window replacement contractors in San Diego, CA, ready to complete your project. Design Windows and Doors, Inc.
Evergreen Home Improvement Solutions Inc. There are a variety of reasons you may be looking into purchasing windows for your home in San Diego. Perhaps you are considering new construction windows for a remodel or new home, or maybe you are simply replacing an old window which is no longer performing as it should. No matter your reason, it is helpful to understand how where you live should influence the windows you choose. San Diego has their own unique codes, ordinances, and permit requirements which can guide your search for the right window for your home. In addition to this, you will want to purchase windows which are uniquely engineered for the climate of your region. The right windows for San Diego will function at an optimal energy efficiency, decreasing your monthly utility bills. Continue reading to learn more about buying windows in San Diego, California. There are many things to consider before purchasing windows for your home. There are a few basic things you need to know before making your decision. One of the first things to determine is whether you will be purchasing replacement or new construction windows. Replacement windows are specifically designed to fit in the existing space left behind by an old window. New construction windows can only be used when the frames and studs will be exposed because they must be secured directly to the studs. In addition, you will want to determine the operational and aesthetic design you desire for your new windows. Double-hung windows are a popular choice for home windows, with two sashes placed vertically, which open to provide ventilation for a room. In some cases, however, you may have unique operational needs such as single sash windows which open outwards, or bay and bow windows which provide a more signature look for your home. Windows can be bought in a wide variety of colors, designs, and materials, and you can easily find the aesthetic design which will best fit in your home. Once you have settled on your personal preferences concerning the design and function of the windows for your home, you will need to obtain a construction permit from the San Diego Department of Building and Safety. You can obtain a permit at the Inspection Services Office at 9601 Ridgehaven Court, Suite 200. Once you have obtained a permit, you are legally free to hire a contractor or install windows yourself. No matter which you choose, you will need to be sure anyone you have hired to work on your home is properly insured. The city of San Diego requires Workers’ Compensation insurance be held by contractor with employees or homeowners who hire individuals to work on their home. This insurance will protect you from the financial consequences if someone you have employed were to be injured while working on your home. If you choose to hire a contractor, they will need to have a general building license which is issued by the city. In San Diego, there is an Energy Saving Assistance Program which was created to enable both homeowners and renters to make energy efficient improvements to their home. The purpose of this program is to lower monthly utility bills by replacing windows, lighting, appliances, or adding insulation, weatherstripping, and caulking to the home. These improvements will be performed at no cost to you if you qualify based on the income guidelines provided by the city. If you do not qualify for the Energy Savings Assistance Program, you can use conventional methods to pay for your windows. Whenever possible, it is best to save up and pay cash for home improvements. If you cannot afford to pay for windows upfront, you can also finance your purchase using a home equity line of credit or a zero interest credit card. Varying environmental factors in San Diego are taken into consideration as window companies begin to design the windows they manufacture and these same factors should be considered when you make your purchase. 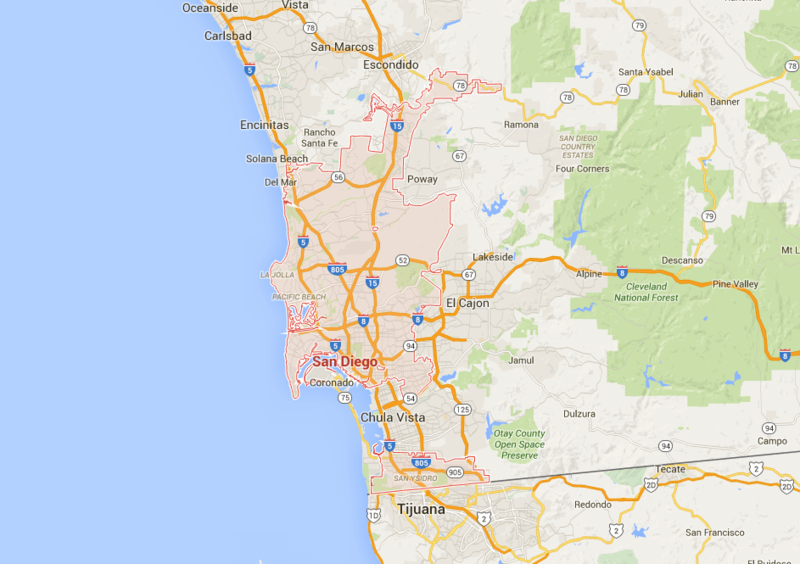 ENERGY STAR® has classified San Diego as a south-central climate zone. This area of the country experiences high temperatures during the summer seasons and mild winters. The best way to choose a window for the unique climate in San Diego is to base your decision on the guidelines provided by the National Fenestration Rating Council, or NFRC, label. The two categories which are most important to consider on this label are the Solar Heat Gain Council and U-Factor ratings. All windows allow heat loss or gain to a certain extent, and when heat is lost through a window the heating and cooling system has to work harder to keep the home comfortable. When a window is exceptionally resistant to heat loss or gain, the window is more energy efficient. The U-Factor rates the heat lost or gained through a window and a lower number represents a more efficient window. Because San Diego experiences high temperatures during the summer, windows purchased should have a U-Factor rating of no more than 0.30. The amount of solar radiation which is transferred through a window is measured by the Solar Heat Gain Coefficient. Solar heat can overheat your home during the summer months, which would increase cooling bills. In a warm city like San Diego, a lower SHGC is desired. All windows purchased should have a SHGC rating of no more than 0.30. Since San Diego is located in a warm, dry region, the condensation resistance, or CR, rating of a window does not need to be high. Unnecessary moisture can cause damage to your window, including mold and mildew but in a dry city like San Diego, this is not a major concern. In general, it is always better to choose the most energy efficient model available when purchasing new windows for your home. Taking into account ENERGY STAR® requirements and NFRC ratings will help you find a window which will save you money on utility bills. This is especially true in San Diego and other cities within California, where green living has become a priority.